Providing depth and breadth of training for clinical scientists-in-training. 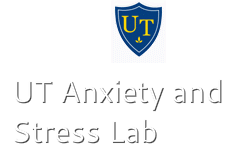 The group is comprised of individual research labs and their faculty at the University of Toledo that study anxiety or stress-related phenomena. The ASL stimulates a team approach to scientific inquiry through the merger of numerous research programs and faculty expertise.